"Having a dirty car and a brown lawn should be a badge of honor because it shows you care about your community," -- Felicia Marcus, the CA State Water Resources Control Board chairwoman, as they prepare to impose $500 fines for anything they define as wasting water. If every one of us completely stopped using water in our personal lives, it would not come close to making up the shortage being felt by agriculture....mainly because of the wasteful way California farmers use water. Drive through the Central Valley in the middle of summer and you will see huge sprinklers spraying water in the middle of the day and fields being flooded­­­ in the process, losing huge amounts of water to evaporation. Very few crops and very little acreage is watered with drip irrigation in California compared to other arid regions of the world. The current state of affairs is the fault of both parties who are under the control of huge corporate farms. The farmers who control both parties in Sacramento also hold the key to mitigating this drought. Only 4% of state water usage goes to residential use. More than 90% is used for agriculture, meat, and dairy production, while contributing only about 2% toward the state's GDP. Conservatives and corporate farmers blame environmentalists for not supporting additional water projects, but rather than spend huge amounts of taxpayer money building new water projects that mostly benefit corporate farms who ship most of their products out of state, we should force farmers to conserve water by raising the price of water for agriculture. Under archaic laws, farmers pay only a fraction of what urban users pay for water. Additionally, those with senior water rights on rivers and streams are able under the law to withdraw pretty much all the water they want from those sources. It's time to redress the balance between the demands of agriculture and people. Right now many farmers pay only about 1/25th as much for a unit of water as a homeowner, which is actually below the cost of supplying the water. If "free market" principles were applied, taxpayers could stop subsidizing the cost of water to Big Agriculture. Why don't we raise the prices on water for agriculture so it's not being wasted on growing so many almonds? It takes 2100 gallons to produce one pound of almonds. California produces 80 percent of the almonds sold worldwide, with gross revenues of more than $6.2 billion in 2013 — nearly double what they were in 2009. 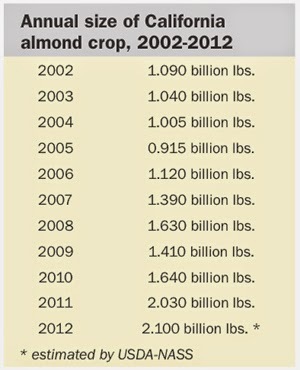 Last year, almonds were California's most lucrative agricultural export by far. 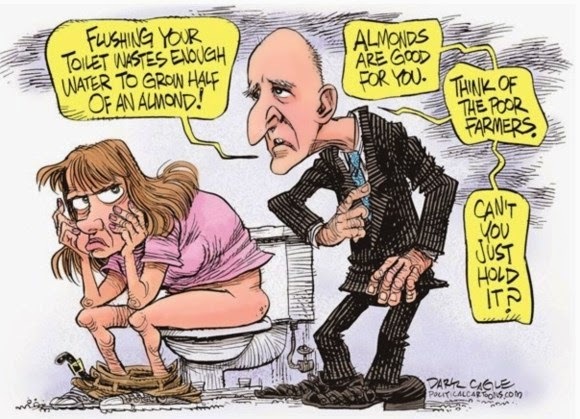 10% of California's precious water is being used to grow almonds! That’s roughly the same amount of water used by all of the urban areas of California combined. Also, unlike cotton and tomatoes, almonds are a "permanent" crop, meaning the land they're grown on can't lie fallow when water is scarce. Almond farmers are making far too much money to modify their behavior just because of the drought. In a U.S. Department of Agriculture survey for 2014, 77 percent of state almond farmers polled said they intended to put in new almond acreage despite the drought. Why are we growing rice in California? 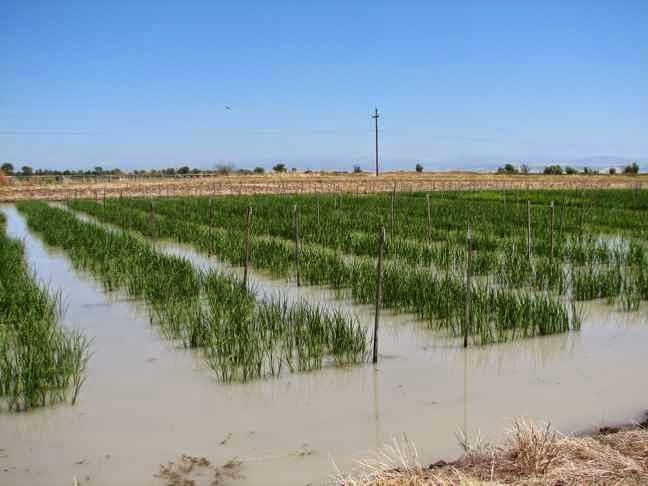 Because rice is an aquatic plant, continuous flooding is the most effective method of irrigation. 4,000 litres of water are needed to produce one kilo of rice, which means that rice farms use over 8 trillion litres of water each year. Under what circumstances would rice paddies in the California desert ever make sense? Growing feed for cattle is the predominant agricultural use of water in California. Irrigated pasture and hay fields consume more water than any other single crop in California - more than a third of all irrigation water. 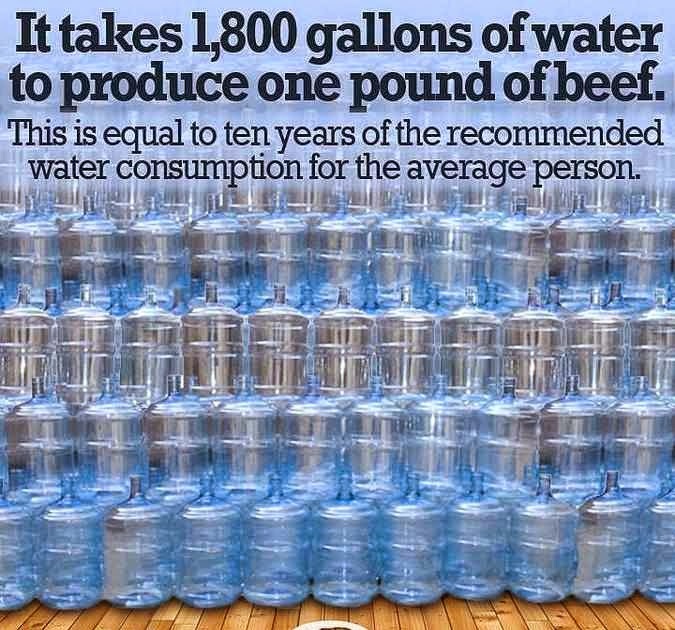 It takes 18,000 gallons of water to produce a 1lb of beef and that is equal to 10 years of the recommended water consumption for an average person. Farmers tell us that food prices will rise if we don't allow them to continue using unlimited amounts of water at bargain-basement prices. Most of the food grown in California is shipped out of state and that means that California homeowners are subsidizing cheap water for farmers who then sell most of their produce to people who didn't subsidize that water. Raising the cost of water for farming will cause food prices to rise for everyone but it will also reduce the amount of water wasted on crops that require huge amounts of water; like almonds and rice. There are 60-70 GOLF COURSES in Palm Springs, each slurping up about 1 million gallons a day. A few are using grey water for irrigation, but why don't we force golf courses to put in artificial turf? Why does California still allow fracking, which uses more than 74 trillion gallons of water per year? Fracking also poisons our precious and limited water by pumping it underground near aquifers. More than 135,000 people have signed a petition calling on Nestlé to stop bottling and selling California’s increasingly scarce water. Nestlé -- who extracts water from CA for its Arrowhead and Pure Life brands -- is bottling from at least a dozen natural springs throughout California, including from some of the most drought-stricken areas of the state. And worse, their permit to do this expired over 30 years ago! Nestle isn't the only company bottling water in CA and shipping it out of state; Crystal Geyser, Aquafina and Dasani are also doing it. Can't they move their bottling plants someplace where water is abundant? Water rationing is already a reality in some California cities. The seaside village of Cambria, for instance, has been on water rationing since March. Each person gets 50 gallons a day. Households that exceed their limit will be hit with a fine that is quintuple their water bill. If they do it again, the fine is ten times their water bill. 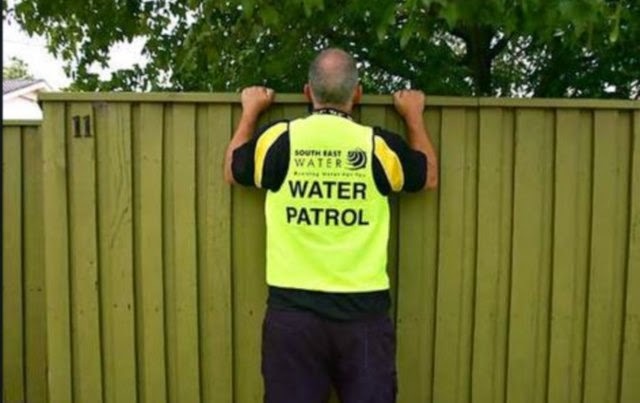 After unsuccessfully trying to "educate" homeowners, many Northern California cities have hired "Water Cops" to write tickets to water wasters. 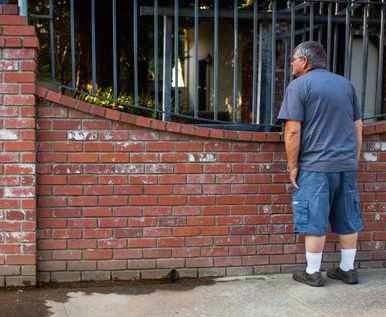 Neighbors are being encouraged to turn in their neighbors for water wasting offenses, ranging from washing a car on any day using a hose without a shut-off nozzle or watering their lawn on the wrong day (or at all), As cities continue failing to reach conservation goals through voluntary measures, water cops will be writing tickets in all California cities. Eventually these water cops will be sent to residences to gather data on occupants, lot size, etc in order to further monitor and restrict water usage. — Using water to wash down any hard surface, such as a driveway, patio or sidewalk. — Landscape watering that runs off into adjacent property, non-irrigated areas, private and public walkways, roadways or parking lots. — Washing an automobile with a hose unless it has a shut-off nozzle. — Using potable water in a fountain or decorative water feature, unless the water is recirculated. 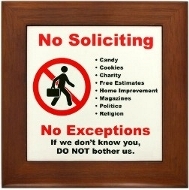 At first glance, most of the restrictions aren't that bad, but the $500 fine is a recipe for some heavy-handed enforcement over minor infractions. Busybody neighbors will be interpreting the rules; they'll be snooping on, second-guessing and confronting others using the threat of a $500 fine to back-up their "water shaming" efforts. And while this is all going on, we will be told over and over again that this is absolutely necessary because of the drought. Meanwhile farmers and others get a pass, because as Governor Brown said, "Farmers aren't using water frivolously on their lawns or taking long showers." Brown said he would not consider pushing farmers who grow water-intensive crops such as almonds or alfalfa to switch to something else. "That's a big brother move," he said. Really? But Brown thinks micromanaging residential water use, encouraging neighbors to report neighbors, and fining individuals $500 a day for "wasting" water are somehow not "big brother" moves? The people of California are expected to accept whatever burdens are placed upon them or suffer the consequences, while the true water-wasters continue paying off Sacramento politicians to insure that their interests come first. Update 4/29/2015 - Gov. Jerry Brown is now proposing legislation to impose $10,000 fines for residents and businesses that waste the most water during the drought. "We've done a lot. We have a long way to go," Brown said after meeting with the mayors of 14 cities. "So maybe you want to think of this as just another installment on a long enterprise to live with a changing climate and with a drought of uncertain duration."